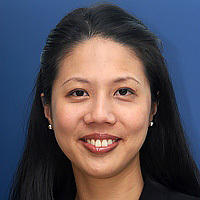 Angela Cheng, MD, FACS, is Assistant Professor in the Division of Plastic and Reconstructive Surgery of the Department of Surgery at Emory University School of Medicine. A board certified plastic surgeon, Dr. Cheng specializes in breast surgery, breast reconstruction, microsurgery reconstruction and body contouring. She offers abdominal flaps with no-drain donor-site as well as lymphedema surgery. Dr. Cheng is a Fellow of the American College of Surgeons. She holds professional memberships with American Women Surgeons, American Society for Reconstructive Microsurgery, American Society of Maxillofacial Surgery, American Society of Plastic Surgery and American Society of Aesthetic Plastic Surgery. Dr. Cheng received her Medical Degree from University of Florida College of Medicine. She completed her general surgery residency at the University of Texas-Houston, her plastic surgery residency at the University of Virginia, and her breast and microsurgery fellowship at UT Southwestern. Dr. Cheng's primary research interest is breast reconstruction.